Like every year I went to Les vendanges of the Melac Bistrot . 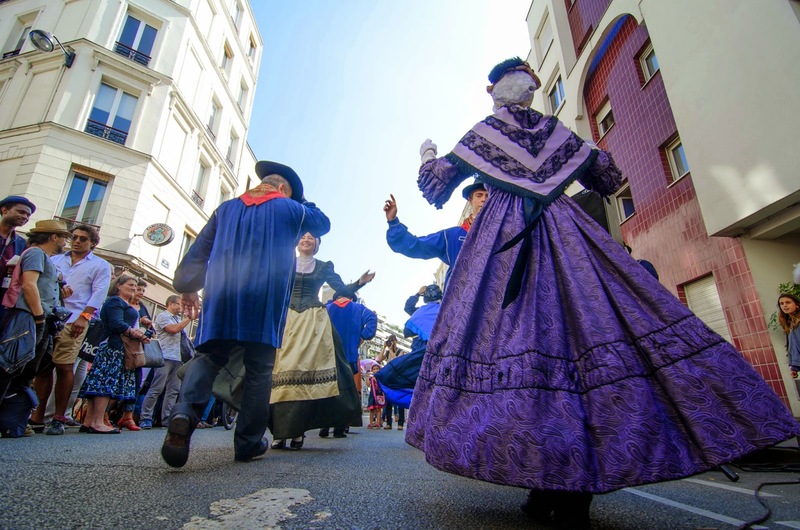 It's a fun event that takes place in the 11th arrondissement where they install tables in the streets around the bistrot and harvest the grapes that grow above the café! All this being just a way to drink, eat and have fun! Which I had... This year they also had a crew of folk dancers from Aveyron - a region in France from where most café owners in Paris are from. The costumes are quite vibrant, Eric! Sounds like a great scheme. The weather looks great ! This is a good help in anything to organize. Have a nice sunny Sunday. It seems OK to keep it up like that all the week.